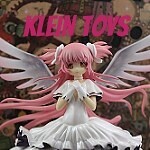 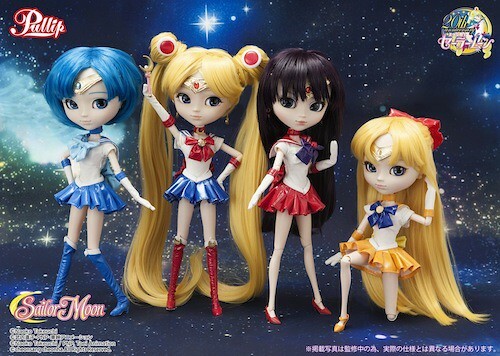 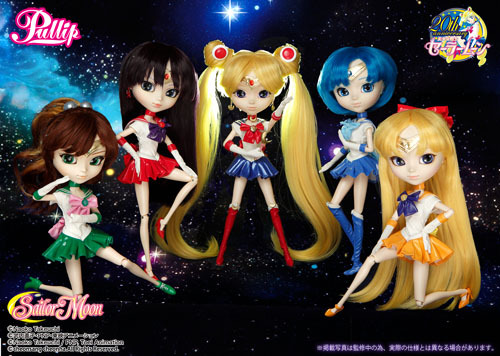 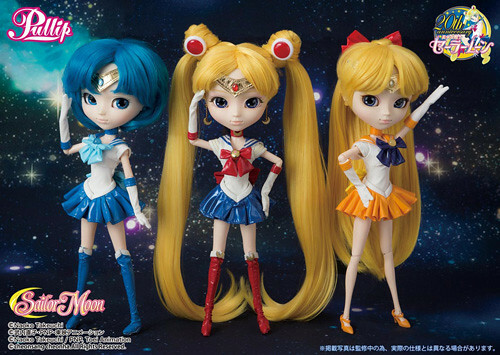 To celebrate Sailor Moon’s 20th anniversary Groove started a collaboration of dolls based on characters from the series. 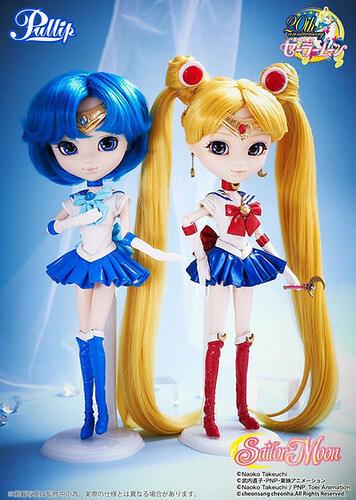 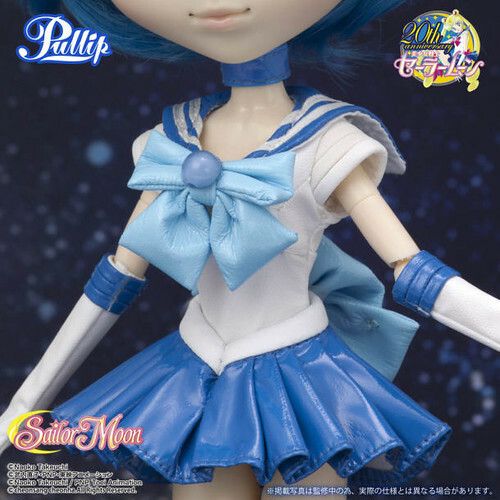 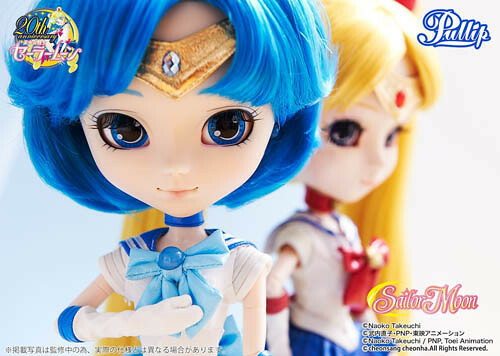 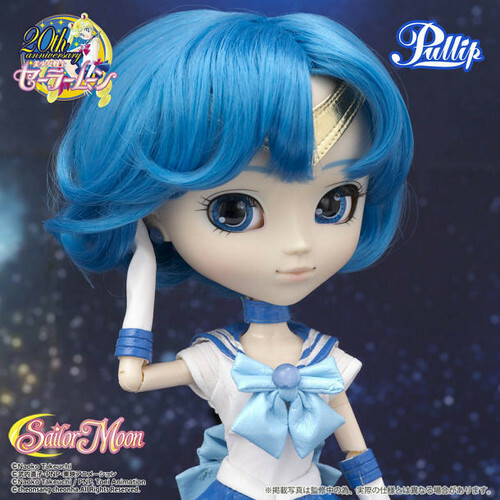 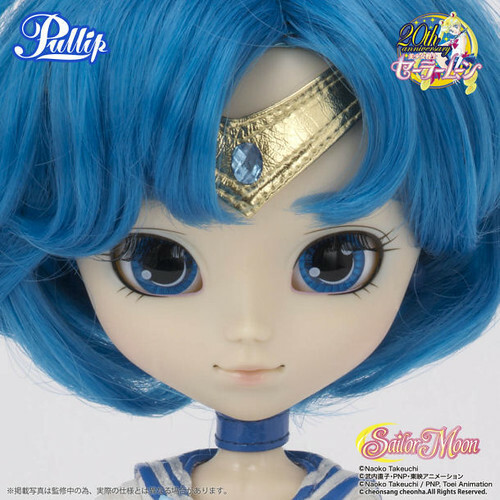 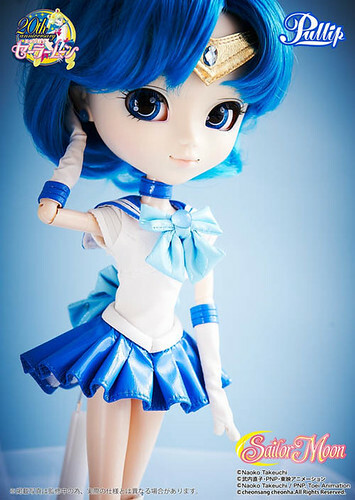 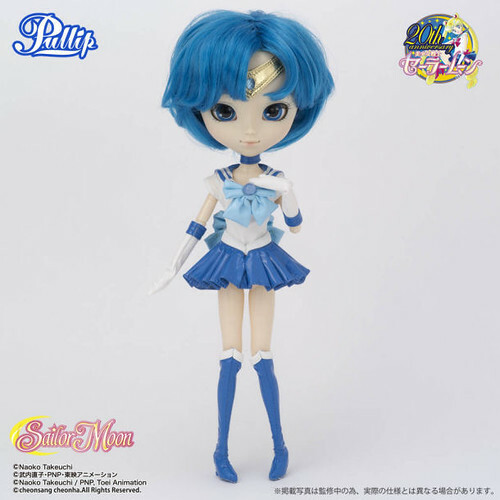 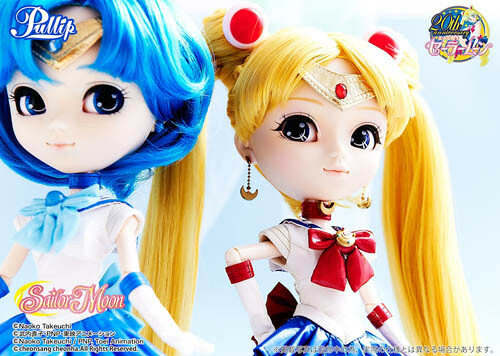 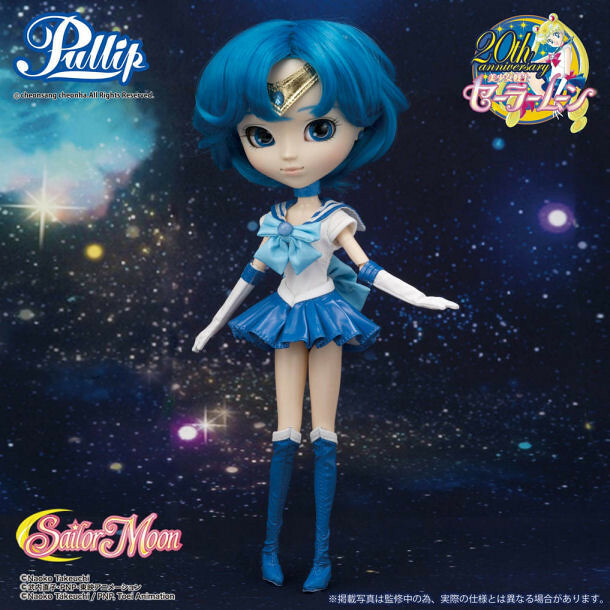 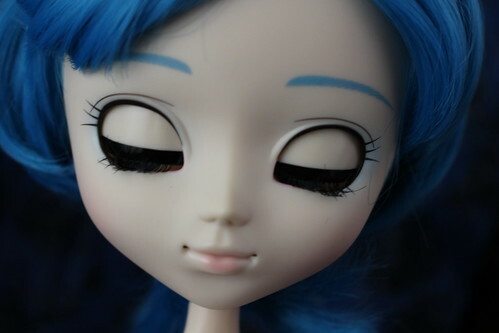 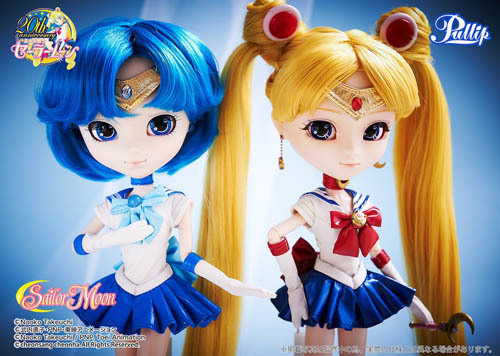 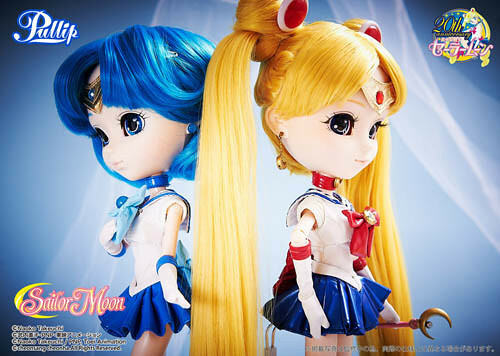 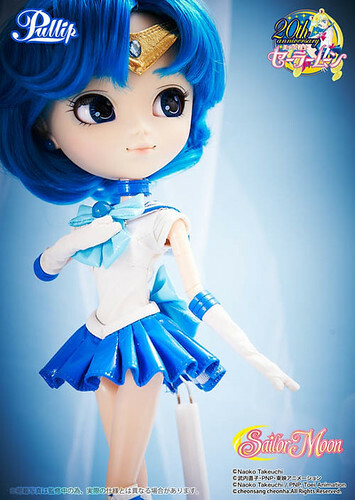 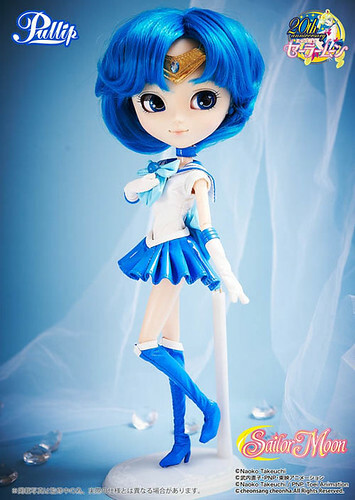 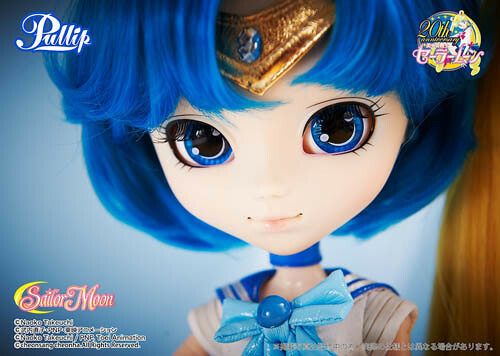 Pullip Sailor Mercury was the second doll released as a part of the Sailor Moon collaboration series. 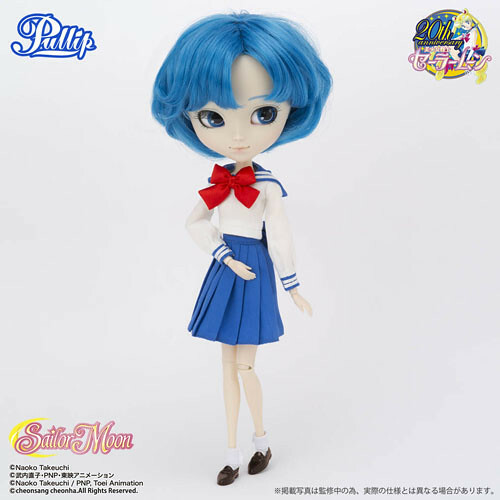 Bandai shop had a special edition of Pullip Sailor Mercury exclusive to their shop, the exclusive version came with Ami’s school uniform but it also was priced 3000 yen higher than the standard release. 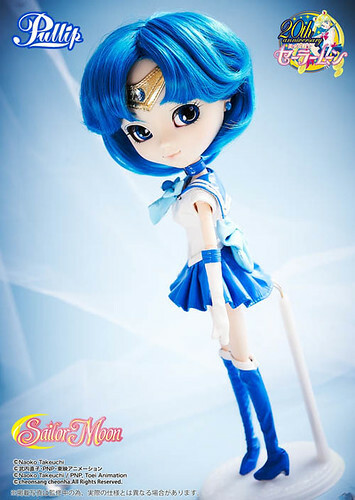 Feel Like So: Agent of Water and Intelligence, the pretty Sailor suited soldier Sailor Mercury!! 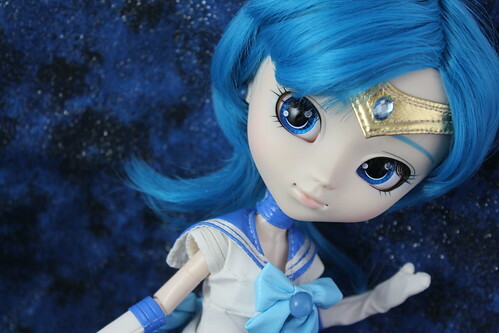 Douse yourself in water, and repent!…..Feel Like So. 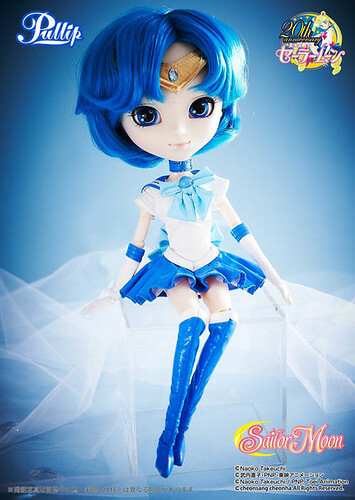 Wig: Short blue wig, please note it is longer than pictured in the promo photos. 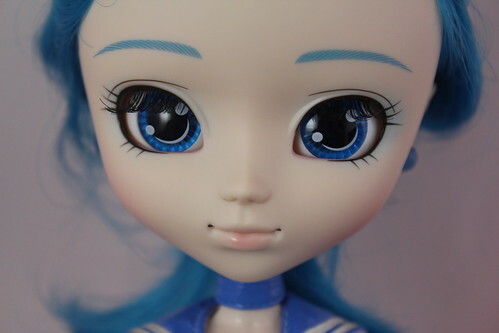 I have included one of my owner photos to illustrate actual hair length. 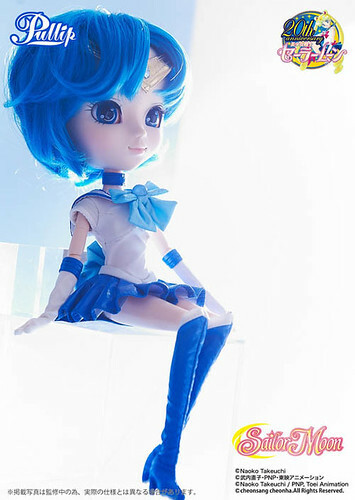 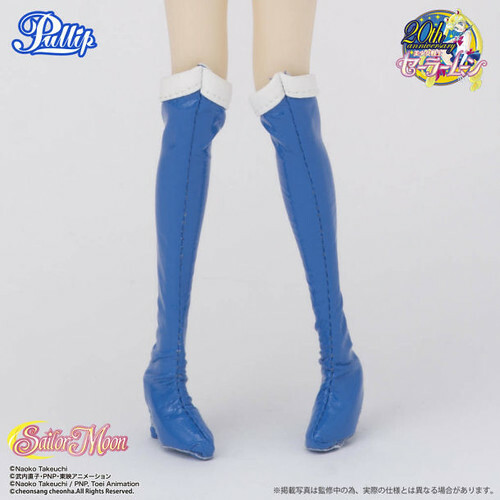 Stock: The standard release of Pullip Sailor Mercury’s stock outfit consists of a tiara, choker, leotard, skirt and boots. 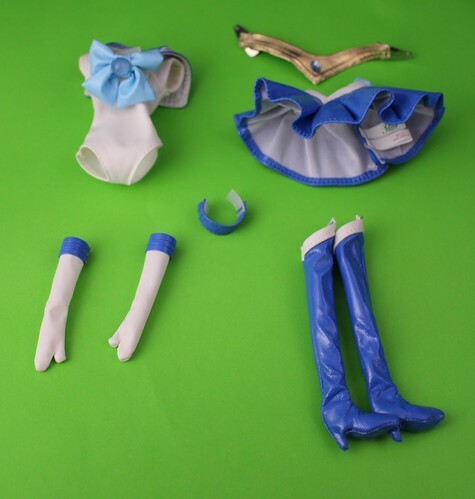 I do not own or have access to the school uniform that came with the Bandai exclusive version of Sailor Mercury but I can say that it consists of a school uniform shirt, school uniform skirt, socks and shoes. 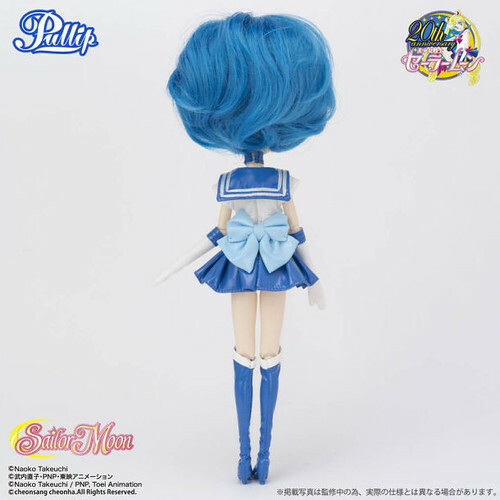 Known Issues: Hair length longer than pictured in promotional photos, jewel placement can sometimes be a little off on the bow/tiara this is pretty easy to correct with a little bit of patience and craft glue.